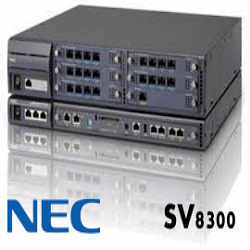 The SV8100 is a unique communication Server solution for small to medium size business as up to 500 users. 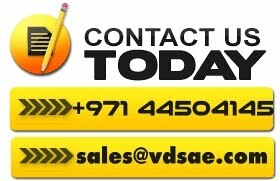 Its expandability means it can work at any level, from a technically superb phone system, to a truly advanced unified communications platform.The SV8100 Communications Server offers a scalable, reliable, full-featured communications solution to meet a growing business’s needs.Deployment of a pure IP solution or any combination of IP and traditional circuit-switched technology is supported on a single SV8100 system.The SV8100 offers centralized management of phones, data systems and platforms; moves, adds and changes of SV8100 phones are quick and easy. Just plug any phone into any jack wherever it is needed and it is ready to go. 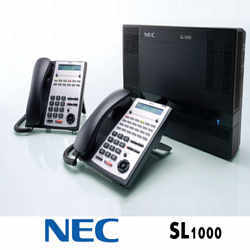 SL1000 is an intelligent cost-effective telecommunication system that is equipped with capability to adapt functions for immediate and emerging business needs, covering small and medium-sized enterprises (SMEs) and small offices, home offices (SOHOs).SL1000 is equipped with rich Built-in functions that improve the employees’ communication environment, contributing to save the Total Cost of Ownership.SL1000 provides Hybrid ports, realizing seamless integration of multiline terminal, single line telephones, facsimiles, and more without complex settings.SL1000 provides Hybrid ports, realizing seamless integration of multiline terminal, single line telephones, facsimiles, and more without complex settings.